One of the great things about eldery people is their honesty. They reach a certain age and don’t care anymore what anyone thinks. They’re not working, so they can’t lose their job because of something they said. Like little kids, they seem nearly incapable of a lie. King’s honesty comes through in this conversation, conducted in his room at the senior living community in which he was living. He would pass away about a year later, at the age of 92. “Coach Bob” is one of the more beloved figures in Purdue’s athletic history. 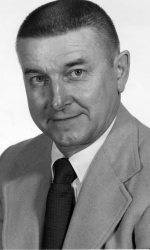 He was an assistant basketball coach throughout the 1960s and then an assistant athletic director. He was the perfect No. 2 guy because of his lack of ego and willingness to work behind the scenes. He recruited the team that reached the NCAA championship game in 1969 and then was a major influence from his role in the athletic department. 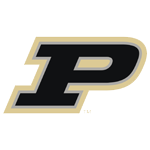 A lot of former Purdue athletes say he inspired them to get their degree. King was such a good person that he got along with everyone — including Bob Knight during the peak of the rivalry between IU and Purdue. There’s some great stories here, and a lot of history, too, from one of the most underrated figures in Purdue’s athletic history.